I'm relatively new to eBiking as I had always been able to pedal my bikes until a couple of years ago. One issue I found was the wind chill factor during winter. You can go faster than normal with less energy required, meaning I have less internal warmth to fight off the cold and a higher wind chill factor, particularly on exposed shin and eyes. My answer was to zip tie a light weight motorcycle visor to an old ski helmet. 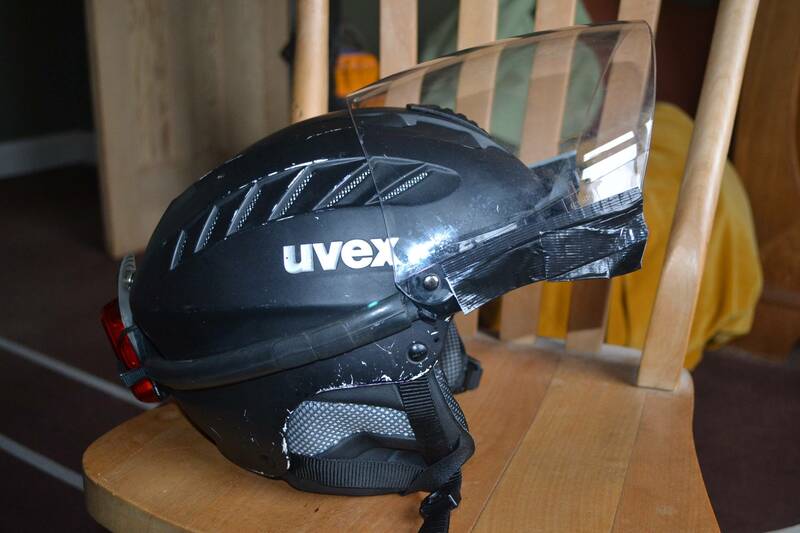 I know it is debatable as to whether a ski helmet is safe for cycling. see (Using a ski helmet for winter biking) for further discussion (I may have posted this question as a comment to that thread but further replies are blocked). 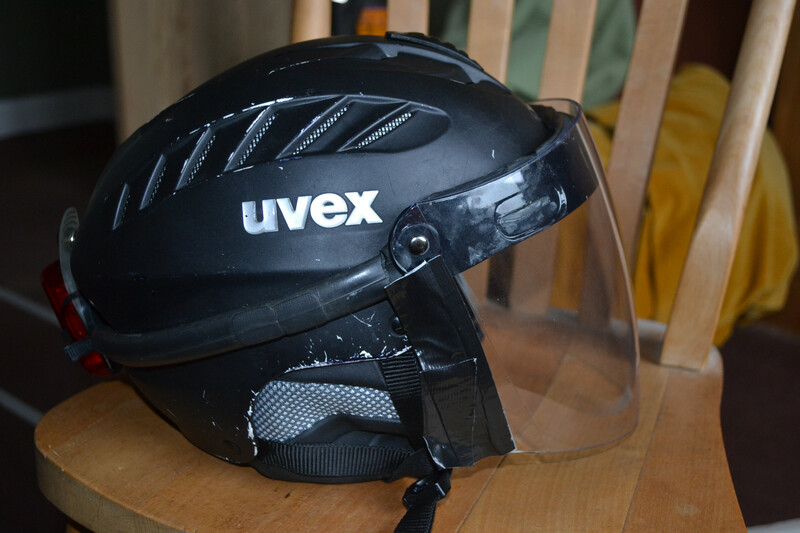 For myself I am happy that each type of helmet passes almost identical safety tests and the ski helmet has less open vents so in my mind makes it at least as safe. So far this set has done two winters with out any further mods of maintenance and worked well at keeping the wind and rain off my face. (I am thankfully yet to test its protection capabilities). It works but is not completely aesthetically pleasing and the visor is always going to be a zip tied on addition rather than part of the design. (Could this be an issue in a crash?) Does anyone know of a similar type of product with an integrated full face visor that is already out there. I have looked at bike and ski helmets (no full face visors), paragliding/hangliding helmets (probably due to relatively small numbers made the few I've found that offer same features are £300+) and motorcycle/scooter helmets (feels too heavy at twice the weight). Track racing helmets have a built in visor, but these usually only cover the eyes. You can probably achieve what you want with a combination of a non vented helmet, wrap around glasses or goggles and a half-face mask or balaclava. There are numerous bicycle specific helmets made for commuting or casual riding that have minimal vents, or closable vents. Some have cold weather liners that fit to the chinstrap to cover the ears. There are half-face masks made for skiing, cycling or other cold wether use that are semi-rigid so that there is space between the mouth and nose and the mask. Not the answer you're looking for? Browse other questions tagged winter helmets electric-bike or ask your own question.